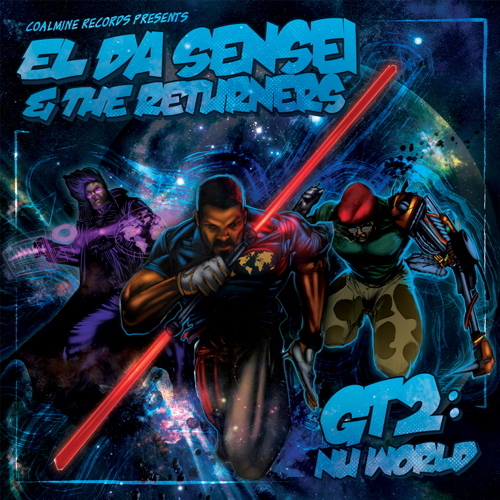 Coalmine Records has released the tracklist for El Da Sensei & The Returner’s upcoming album GT2: Nu World. El Da Sensei will be at the A3C Festival here in Atlanta that kicks off 3 solid days of hip hop. The festival runs October 7, 8, and 9. El Da Sensei will perform at the Kevinnottinham Showcase Friday, October 8, 2010. If you want a preview of the title track, you can get that here. The album is set for release on Oct. 12, 2010.